Our Telegram integration allows your users to send you messages through a Telegram bot. Make sure to log in to Telegram before continuing the steps below. 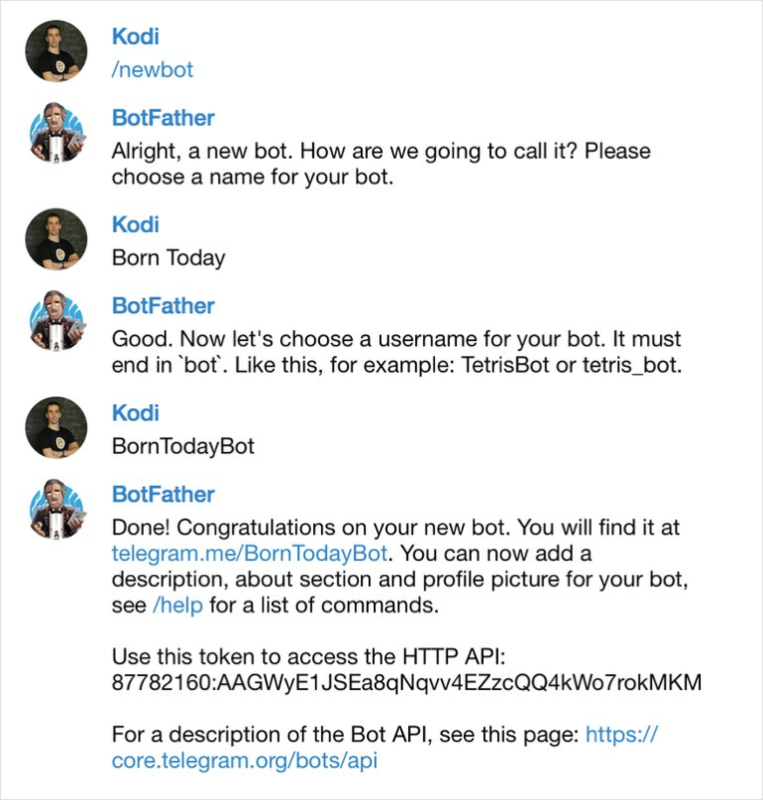 To create a bot, follow the instructions here. 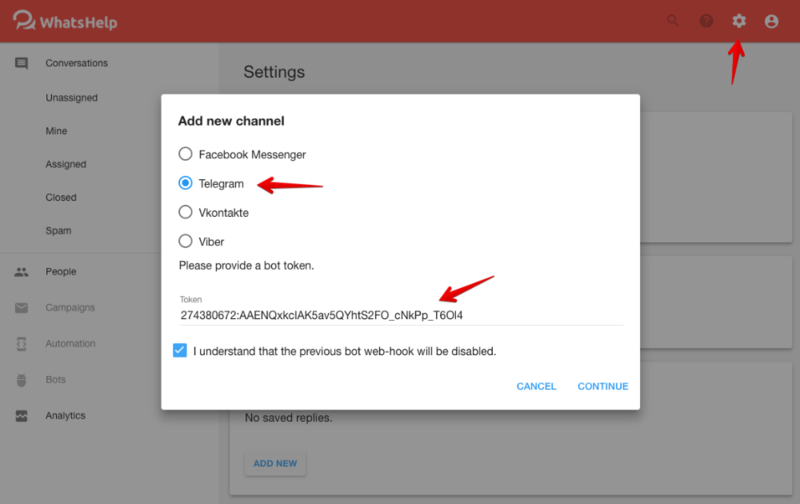 After choosing the bot’s username, BotFather will generate an access token for the API, which WhatsHelp will need to integrate with Telegram. Once you have created the bot, all you have to do is enter the bot’s access token on the Setting page.